In Dreams: Roy Orbison in Concert, which has already booked April dates in the United Kingdom, features the estate-approved Orbison hologram backed by the Royal Philharmonic Orchestra. The production is expected to head to United States venues in the fall. 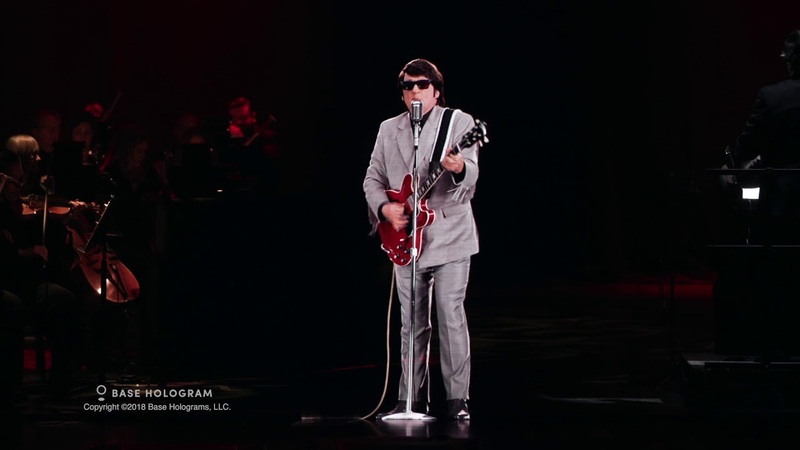 The Orbison hologram is the creation of BASE Entertainment, the live entertainment company that specializes in Las Vegas productions, and their BASE Hologram venture. The company “fuses advanced holographic Digital and laser technology with live theatrical stagecraft to create worldwide concert tours and transformative entertainment experiences,” with Orbison and opera singer Maria Callas the pioneers into this rapidly growing – but somewhat stalled – form of entertainment. In recent years, multiple companies have attempted to bring musician-based holograms to life for world tours, from Frank Zappa and Selena to Liberace and Chief Keef. So far, only a production revolving around Ronnie James Dio’s hologram has hit the road.